James Caird, originally uploaded by www.alastairhumphreys.com. 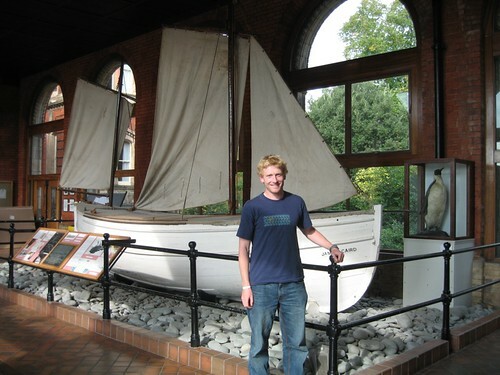 many years back at the NYC Museum of Natural History I saw a mock up of this boat combined with video screens to demonstrate how dificult it was for them to use a sextant in the conditions Shackleton and his men found themselves. The boat was stationary and there were giant screens depicting a rolling sea. I would not have wanted to find myself in that situation.